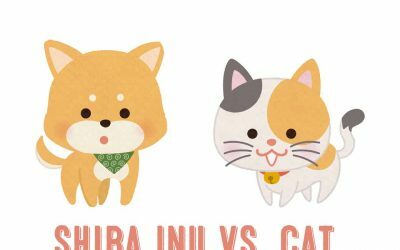 Shiba Inu Shedding Information – How much do Shiba Inus Shed? Shiba Inus are double-coated dogs and shed heavily twice a year, typically during the spring and fall. 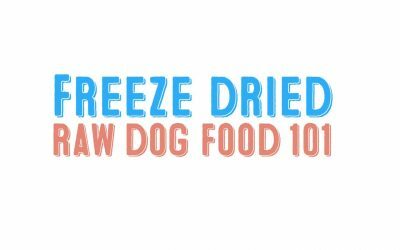 During this time, your Shiba will shed or “blow” all of it’s undercoat in a period lasting for a few weeks. But don’t worry, with the right tools and equipment, shedding can be completely manageable. 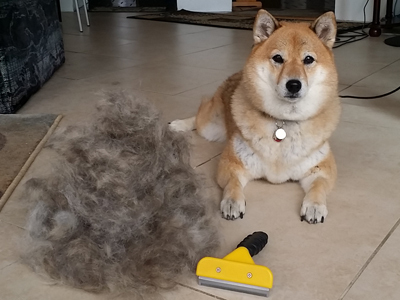 During the times when your Shiba Inu is blowing their undercoat, more vacuuming and brushing will be necessary. The undercoat is very light and will fly all over the place. You’ll find it on your clothes, on your sheets, and yes, sometimes in your food. During non-shedding times, Shiba Inus should normally be groomed / brushed at least twice a month. When spring and fall shedding season comes around, weekly or twice weekly grooming will be optimal. 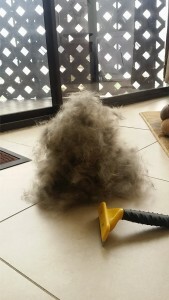 For double-coated dogs like Shiba Inu’s, coat raking type brushes like the Furminator can work well if used correctly. 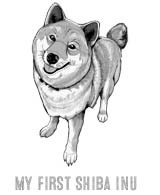 Read more about Shiba Inu brushes here. 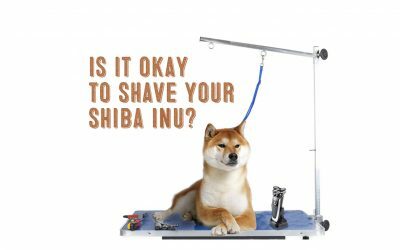 Be sure to be be gentle when using these types of grooming tools on Shiba Inus as most Shiba’s do not tolerate even the tiniest bit of pain – like the accidental pulling of hair that should not have been pulled. However, If you don’t brush them regularly, nothing harmful will happen to their coat as they will just shed it off naturally. But, you will just see a lot of fur all around the place until shedding stops. Nothing that a good strong vacuum couldn’t handle. If you live in a warmer climate, I highly advise that you do groom your Shiba Inu often during shedding to ensure that your Shiba is not overheated or itchy from the extra fur. It would be a good idea to give your Shiba Inu an extra bath or two during the shedding season, as all the extra fur can contain more of your Shiba Inu’s dead skin cell and debris. For my Shiba Inu’s I mainly use two of these tools, a slicker brush, and a medium sized Furminator. They both work well in brushing out the undercoat. 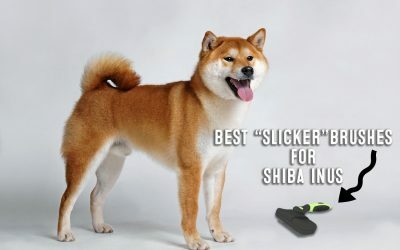 If you have a longer coated Shiba Inu, I would recommend starting with a slicker brush as this brush is more fluid and less pulling in longer haired dogs. Shedding blades should only be used by professionals as it can cause damage to your Shiba Inu’s fur and skin. Did you know that you can collect your Shiba Inu’s undercoat and later transform it into yarn? There are companies that will take your collected fur, clean it, and then make it into yarn. Not many dog owners take the time to brush their dogs teeth on a daily basis. I do and recommend you do also because gum disease is a serious and potentially costly problem for you dog to have. Tartar buildup that leads to gum disease is common in dogs that do not receive oral cleaning. Some owners opt to take their dogs to the vet to receive teeth and gum cleaning, but sedation is required. Whenever possible, I avoid sedation as it is a potentially risky procedure on it’s own. Learn more about brushing your Shiba Inu’s teeth here. Shiba Inu’s typically do not need routine ears or eye maintenance as some other dogs might need. Occasionally, dog’s ears can get plugged by debris and / or wax and should be taken to a vet to get the proper medication to clear it out. Be careful not to get water in your dog’s ears when bathing to minimize ear issues. The eyes of your Shiba Inu can give a lot of information about your dog’s overall health. Be sure to be observant with any changes in your dog’s eyes such as excess tearing, mucous, cloudiness, and other changes that should be further analyzed. Cataracts and glaucoma are unfortunately two hereditary conditions that some Shiba Inu’s develop. It has been scientifically proven that are no such things as hypoallergenic dogs. In fact, a recent study has shown that dogs previously thought to be good for dog allergy sufferers – actually produced more allergy causing dander than other dogs in the study. If you are allergic to dogs, you are likely allergic to the dog’s dander. It is difficult to determine which dogs produce more dander than others. All dogs have dander and dander is transported primarily via the dog’s hair. So, technically speaking, dogs that have more hair and blow their coat are not ideal for allergy sufferers. Yet, like previous studies showed, some of the dogs that did not shed, actually produced more dander than some of the dogs that were heavy shedders. 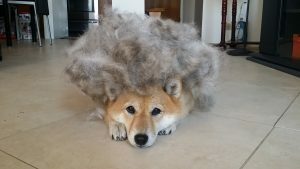 So even though Shiba Inus are indeed heavy shedders, that does not mean they produce any more dander than other non shedding dogs. To give a visualization of this, imagine that some dogs may have more of the “active” ingredient that causes all of the allergy symptoms. These dogs produce more dander than other dogs. Whereas some dogs might not produce as much dander but because they shed heavily, have more of the transporter of dander. In this case, that transporter would be the flying fur during shedding. So, the worst case scenario for allergy sufferers would be to have a dog produces lots of dander AND sheds heavily. As for Shiba Inus, they are heavy shedders and will transport their dander more than non shedding breeds. However, we just do not know exactly how much dander they actually produce in comparison to other breeds.. 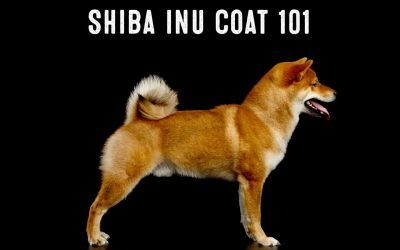 If you are allergic to dogs, and really want to own a Shiba Inu, the only way to know your reaction is to spend some time near one and see if any symptoms appear. If your reactions are severe, then unfortunately owning a Shiba Inu would not be recommended. 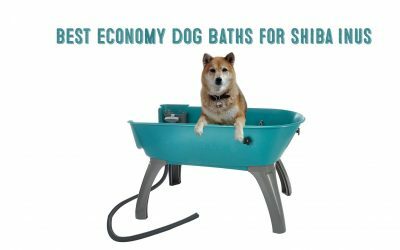 To make bath time less stressful for your Shiba Inu it is important to accustom the dog to water and handling at an early age. 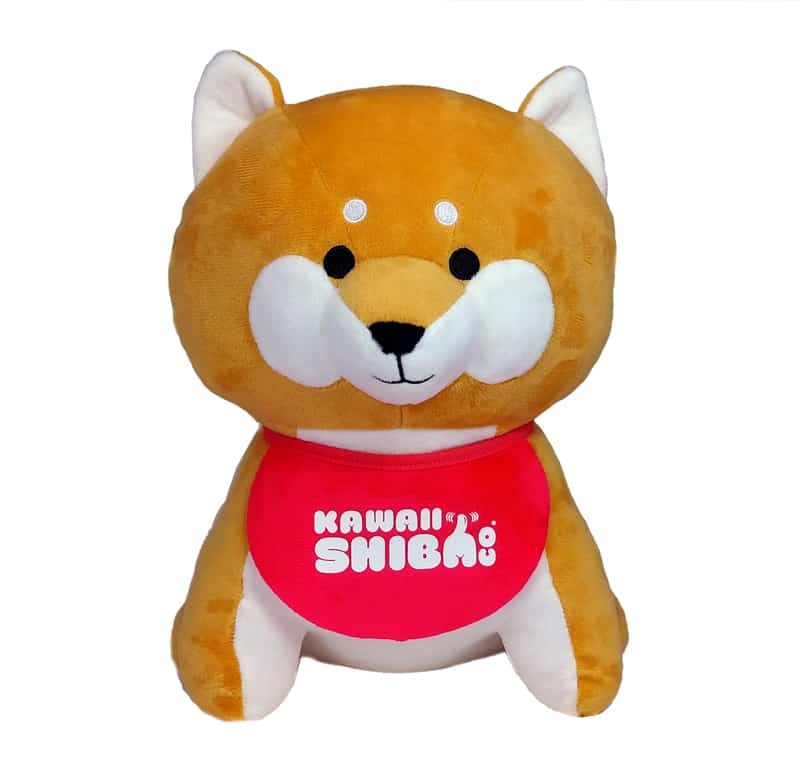 Make sure to introduce your Shiba Inu puppy to bathing in a happy and positive manner. The coat of a Shiba Inu is resilient to water and dirt. They don’t have to be given baths too often. 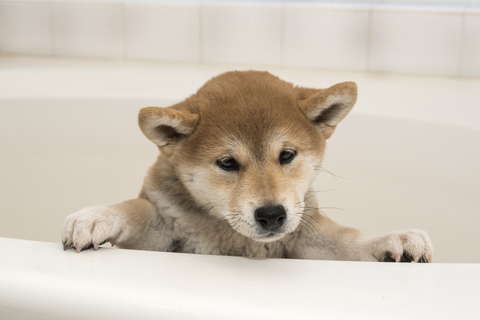 Some Shiba Inu’s have skin allergies that can flare up with excessive bathing. 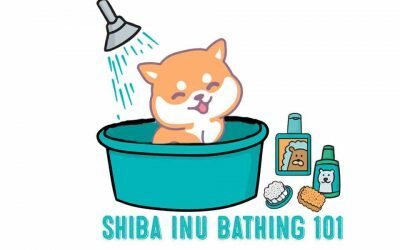 You shouldn’t bathe your Shiba Inu more than twice a month. 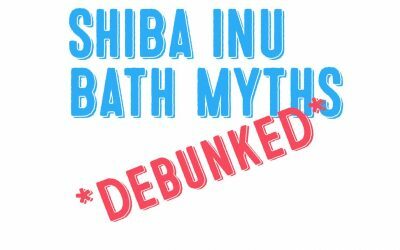 If your Shiba Inu is an outdoor dog, you can wait even longer between baths. For quick clean-ups, you can use a dampened cloth or baby wipes to wipe down your Shiba when necessary. 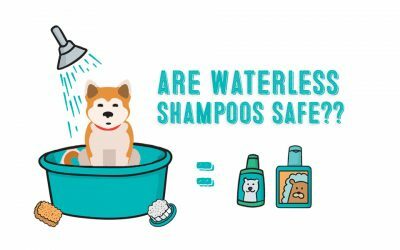 Here are some recommended shampoos to bathe your Shiba Inu with. Shiba Inu’s are notorious for being very uncooperative when it comes to trimming their nails. To prevent and minimize this it is important to begin handling their paws at a very young age. Getting your Shiba Inu puppy used to handling at an early age will save you a lot of stress and agony in the future. The key to having a successful and positive nail trimming experience with you Shiba is to make sure both you and your dog are in a calm state and calm environment. Begin the process by clipping the tips of the nails with a dog nail clipper. It is very important to know where the blood vessel or “quick” of the nail is to ensure you don’t clip it by accident. If your dog has white nails it will be much easier to see the quick and gauge how much to trim. Most black and tan Shiba Inu’s have black nails that make it impossible to see the quick. In this case, it is best to be cautious with the initial clipping. The tip of a dog’s nail is the hard and dry. When you get closer to the quick, the nail is softer. After clipping the tips of the nails, the next step is to sand the nails down further with either a handheld sander or a motorized one. Motorized dog nail grinders are efficient and fast. The only downside is that these tools are loud. Make sure you get your Shiba Inu accustomed to the loud noises before attempting to use these tools. In the event that a nail begins to bleed, dab a bit of styptic powder on the area to slow the bleeding.